Fire retardant sewing thread is used with clothing and gear designed to protect from fire and heat. This Fire Retardant Sewing Thread Buying Guide helps customers get the right thread for their needs. Our approach is to explain fire retardant thread uses, what "fire retardance" means, the differences between spun Kevlar(TM) and spun Nomex(TM), and give specifications for both threads. Use this thread for sewing clothing and gear for first responders, motor sports participants, military, and others who need protection from fire and heat. It should only be used with fabrics and materials that have the same level of fire retardance. This thread is expensive and using it for regular sewing is wasteful. Use lighter weight threads, Tex 27 to 50, for sewing seams and attaching patches to garments. Use the heaver weight, Tex 60 and higher, for sewing gear where thread strength is important. Regular Kevlar and Nomex thread would give similar levels of fire retardance. But they would not look attractive. With the exception of most clearance items, our fire retardant thread is UL approved and meet these standards. NFPA 1975-1999, NFPA 1971-1997, NFPA 1976-1992, and NFPA 1977-1998. More simply put, they do not melt and can withstand temperatures of 700F (366C) before they decompose. 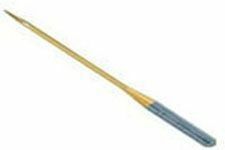 This compares to a 450F (218C) melt point for general purpose threads such as Nylon and Polyester. Fire retardant is not fire-proof. These threads will burn when exposed to a 2500F (1357C) cigarette lighter. They should not be used with conveyer belts and other gear that operates above 700F. Fire retardant threads are made by wrapping a thin Kevlar and Nomex in an outer layer of cotton. This gives the thread a fuzzy texture, cotton-like look, and lets it be dyed any color. Spun Kevlar and Nomex are not as strong as their regular counterparts. In the lighter weights, the differences are not important because both threads are strong enough for seams and patches. In the heavier weights, strength often matters and Kevlar is usually the better choice. Decomposition - Fire retardant sewing thread begins to decompose (turn to ash) at about 700F (426C). Much higher than nylon or polyester. Melting - Fire retardant sewing thread does not melt. This is important in fire retardant gear. Mildew, Aging, Sunlight, and Abrasion - Excellent resistance to mildew and aging. Prolonged exposure to sunlight causes deterioration. Polyester thread works just as well in some cases. Abrasion - Good abrasion resistance. The U.S. and other countries require children's clothing to be made with fire resistant thread that withstands temperatures up to 450F. There are much less expensive cotton threads that may meet this requirement. Tex 70 is the thickest size most home sewing machines can handle. Tex 27 is available in Fire Retardant Embroidery Thread in about 15 colors. It is a 40 weight embroidery thread. 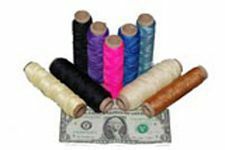 Fire Retardant Sewing Thread is also available in limited closeout colors. They have slightly different constructions. The fire retardant sewing thread is for light duty seam reinforcement, and is usually not suitable for embroidery.